For loose, unbonded wires, CURT offers convoluted slit loom tubing. This simple, strong, flexible tubing protects wires from vibration, crushing and the elements, and keeps them bundled together in a clean, orderly fashion. 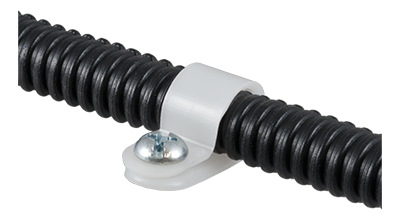 We also carry clamps for securing the tubes.